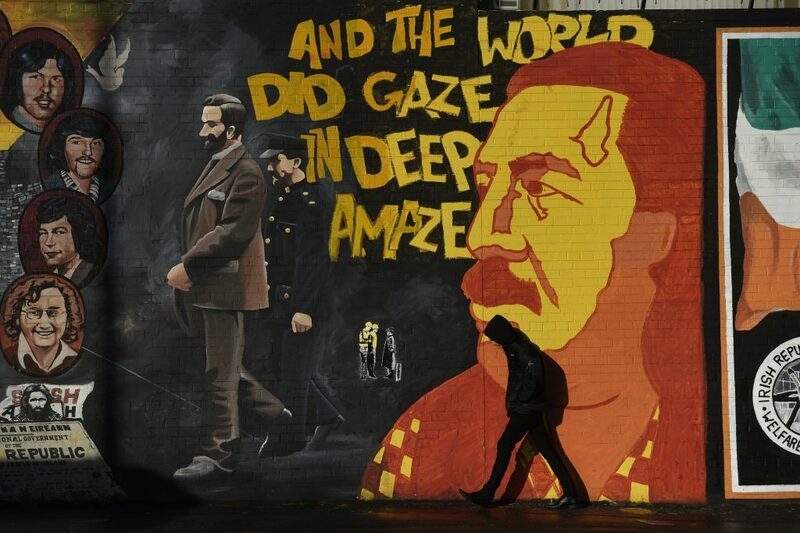 In Belfast, the capital of Northern Ireland, hundreds of colorful murals line the city’s streets, detailing a century’s worth of conflict and political division. 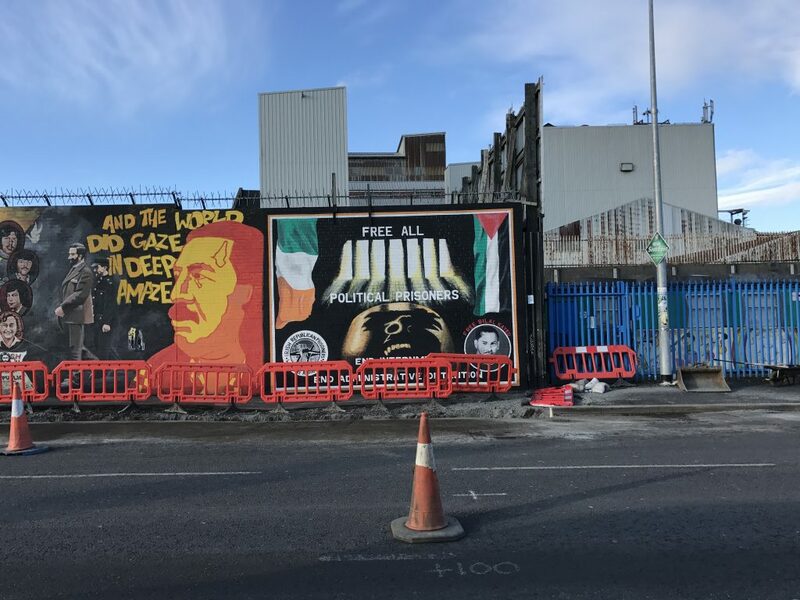 While some of Belfast’s political murals date back to the early 1900s, this artistic tradition has carried on over the years as an outlet for political statements. 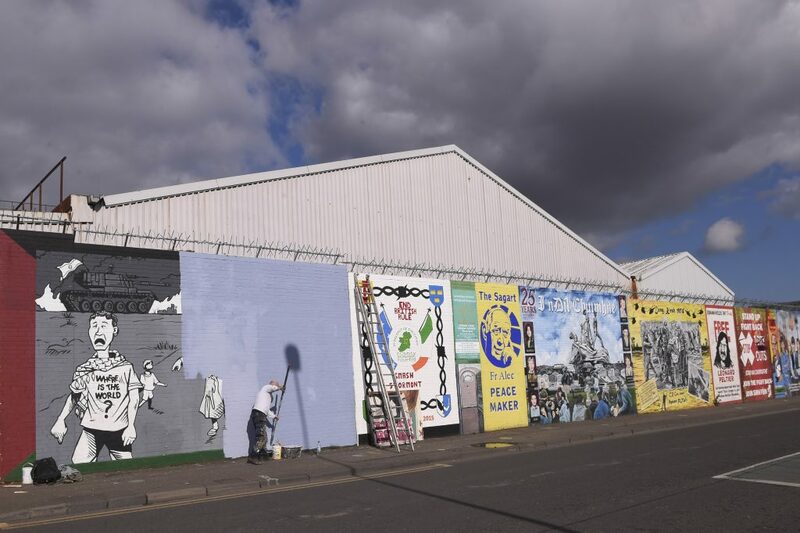 In particular, muralists have made a canvas of “peace walls,” the 300 miles of barriers that once split warring militias during The Troubles, a particularly violent period of war between Protestant and Catholic factions in Northern Ireland that lasted from 1969 to 1998. In Protestant sections of the city, murals proudly display United Kingdom flags and celebrate Northern Ireland’s colonial relationship with Great Britain. 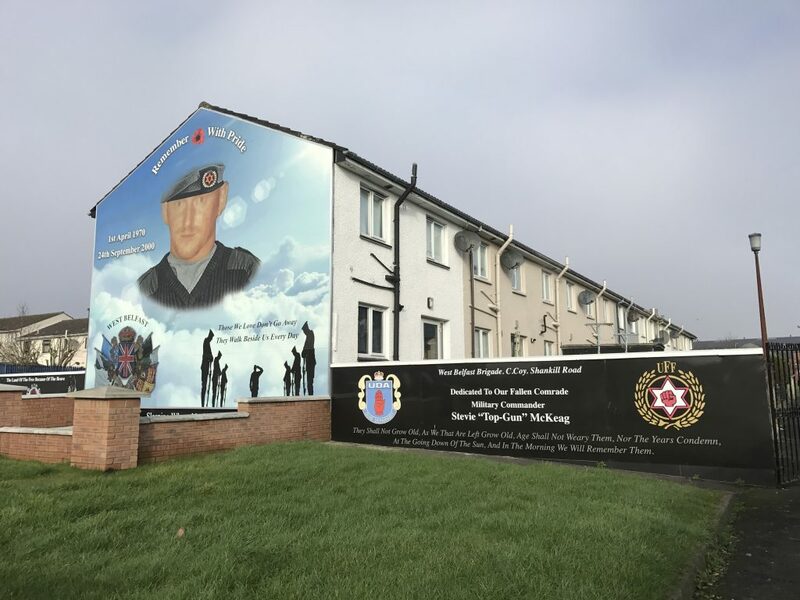 Murals in Catholic neighborhoods boast Irish flags, commemorating nationalists who lost their lives fighting for an end to British rule and the reunification of Northern Ireland, which remains part of the UK, to the independent Republic of Ireland in the south. Many of the murals throughout Belfast depict individual combatants who fought in the sectarian civil war. Others portray gun battles or bomb attacks from paramilitary troops, such as the 1971 bombing of McGurk’s Bar in Belfast and the 1998 car bombing of a shopping center in Omagh, Northern Ireland. More than 3,500 people died during The Troubles. Stevie “Top Gun” McKeag, is believed to be responsible for at least 12 Catholic killings. The mural has had portions repainted to to give McKeag a more military style and muralists removed 25 ft high skeleton with a machine gun. It is flanked by crests of loyalists militias. In 1998, the internationally-brokered Good Friday Agreement, also called the Belfast Agreement, officially ended the conflict and set up a power-sharing government between Protestant Unionists and Catholic Nationalists. Since then, the violence has largely subsided. 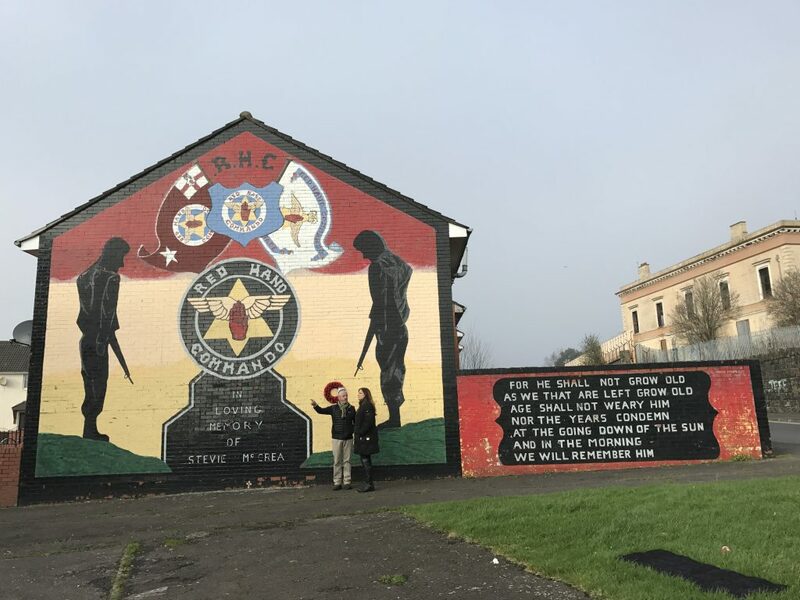 But tensions still linger between Protestant and Catholic neighborhoods, with some residents reluctant to bridge the gap, said Peter Hughes, who gives tours of Belfast’s murals and grew up during the conflict. “If you were told for your whole lifetime, ‘Don’t go there, it’s very dangerous,’ then today, ‘The gates are open, you can come across,’ it’s very difficult for a whole generation of people to become convinced of that,” he said. 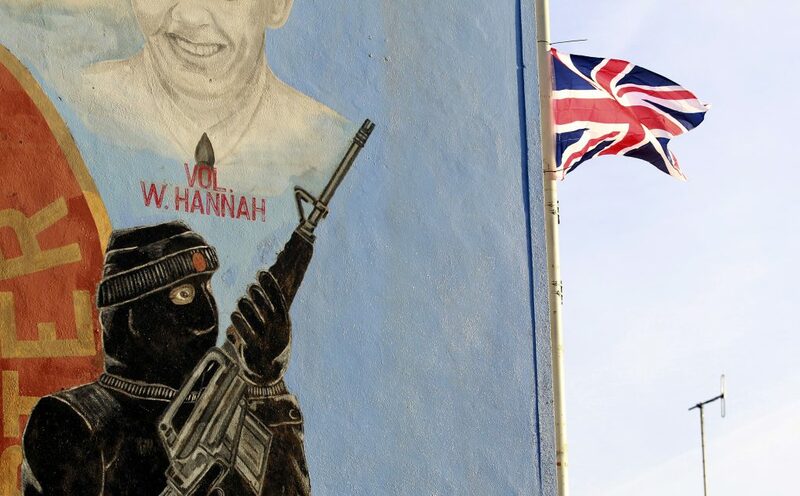 Belfast’s largest Protestant community, Shankill, is covered in murals that depict masked, gun-toting loyalist fighters. It is separated from The Falls — the city’s largest Catholic neighborhood — by a peace wall first erected during The Troubles that remains closed on nights and weekends. 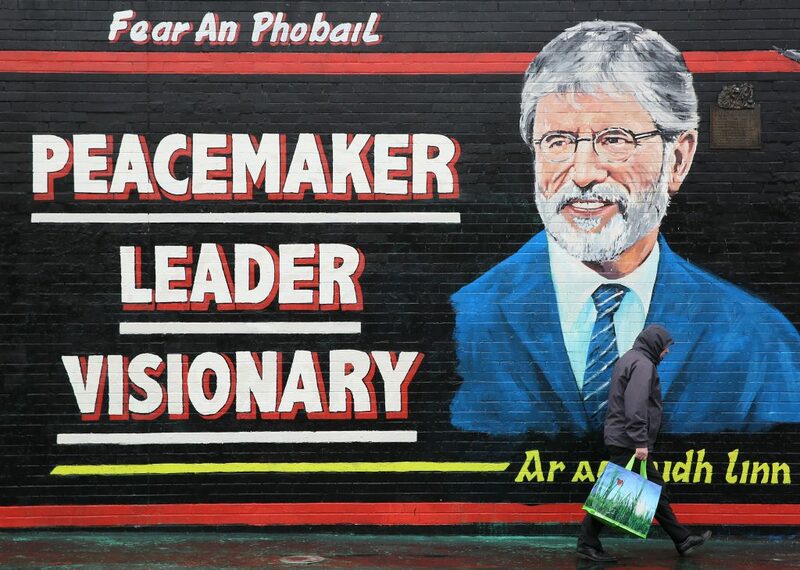 About 50 peace walls exist in Northern Ireland, even as politicians vow to remove them by 2023. 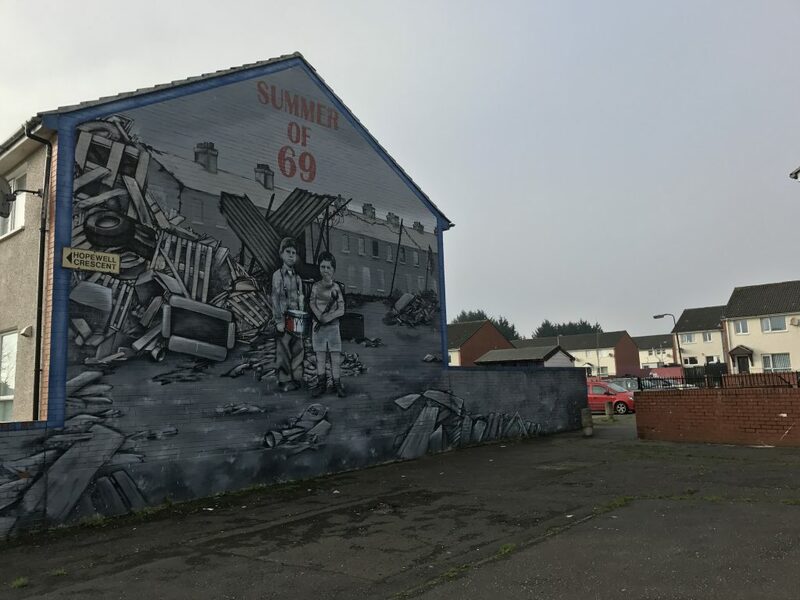 The “Summer of ‘69” mural at Hopewell Crescent in Shankill depicts an iconic photo of two children, one Protestant and one Catholic, who went to bed as friends and woke up to a bomb-ravaged neighborhood and burned-out homes, an overnight event believed to have launched riots and the start of The Troubles. 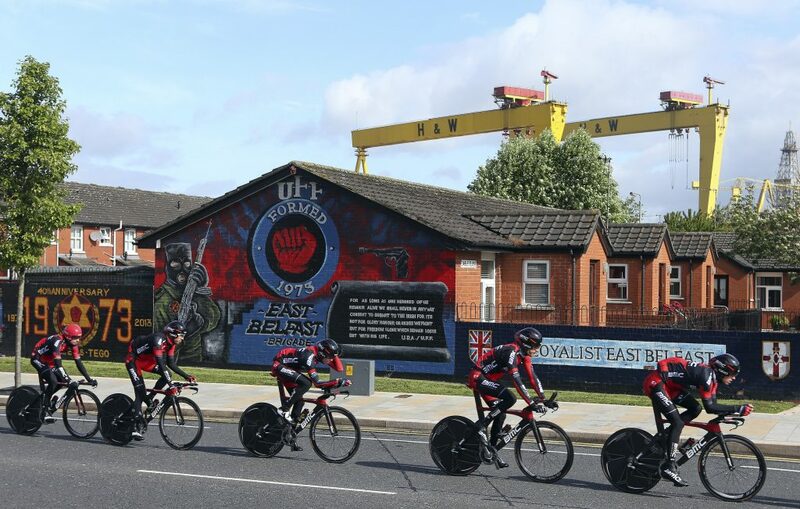 Hughes said that mural was representative of the turning point for Northern Ireland’s youth in the conflict. In the last several years, some communities have repainted portions of the most controversial murals or erected new ones in an effort to continue normalizing relationships between Protestants and Catholics. 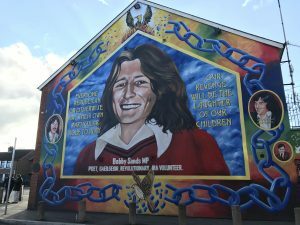 Under the Re-Imaging Communities project through the Arts Council of Northern Ireland, some communities have received funding to create new murals in place of older images. Some residents say the murals mark an important part of Northern Ireland’s past and should not be taken down. But newer images and public art projects could help the communities move forward, Anne Ward, the Community Development Officer at the Arts Council, told The Atlantic. “Young children walking past masked gunmen has an impact on the local community. So, the program is all about the community wanting to transform … and creating a new Northern Ireland, ” Ward said. See more photos of the murals below.